We, Corro Care Industries have been established in the year 1982 and are having our works and Registered Office at Vatva, Ahmedabad. Initially we were in the business of manufacturing all types of Acid Resisting Mortar and taking Turn-Key Projects for Acid Resisting Bricks / Tiles Linings. These products are being used widely in Chemical / Pharmaceutical / Petrochemical / Agro chemicals / Textiles and Fertilizer Industries who are using certain Chemicals which are prone to corrode M.S. 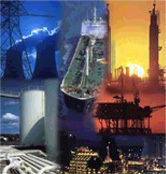 / R.C.C., Storage Tanks, Vessels etc. Floorovation polished concrete is one of the most popular product we have. superfloor made up of polished concrete plays important role in Malls, Hotels, Warehouses, Offices, Houses and many other such places. We have successfully taken up the challenge of saving the Plant and Machinery of Chemical and other Industries from corrosion. We are taking projects for Acid Resisting Flooring, Bricks, Tiles Lining and Epoxy Screeding inside M.S. / RCC Storage Tanks, Reaction Vessel, Effluent Treatment Plant, Filtration area, Plant Floor in Chemical, Insecticide, Pesticide, Fertilizer, Pharmaceutical, Food, Textile Industries and Process House, Rolling Mills etc. We also undertake RUBBER / PP / FRP Lining on M.S. and R.C.C. surfaces. Corro care Industries also undertake Turnkey Projects for Construction of Effluent Treatment Plants which includes Construction of Primary / Secondary Treatment Plants and Evaporating Lagoons, A.R. Brick Lining, Designing and Laying of proper size of under ground as well as over ground HDPE / PP Pipe Lines for Drainage with R.C.C. Sumps, Expansion Joints (Bellows), HDPE Tank etc. and Designing, Fabricating and Laying of HDPE Pipe Diffused Aeration System with R.C.C. / A.R. Brick supports. Pure polyurea and auxiliary products for industrial coatings, liners and joint sealants. Copyright © 2009, Corro Care Industries. All rights reserved.